My new EP is Officially Launched Everywhere! After years of work, my CD is finally for sale on major outlets like iTunes and Amazon. For us old schoolers who still like physical CDs, the CD can be purchased from CD Baby. All of these outlets provide previews, so be sure to click over and give the different songs a listen. There’s something for everyone here, with roots rockers and blues rock, the funk rock instrumental title cut and a jazzy guitar and flute instrumental. 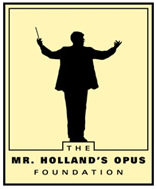 And remember, all 2014 sales are going to the Mr. Holland’s Opus Foundation to support good music programs in our schools that are struggling to provide good instruments to young students interested in music. Help to keep the dream alive for them! Thanks everyone! And remember, I’m looking for comments to share in reviews, so please take a moment and share your positive feedback in a comment!